Just after a month of the Global debut, Motorola announces 6th Generation Moto G also known as Moto G6 in India. It sports a 5.7-inch 1080p display with an aspect ratio of 18:9 and powered by the Qualcomm’s Snapdragon 450 Processor clocked at 1.8GHz with a turbo-powered 3,000mAh battery. It will be offered in two configurations – 3GB RAM/32GB Storage and 4GB RAM/ 64GB Storage. There is also a dedicated microSD slot lets you expand the device storage up to 128GB. 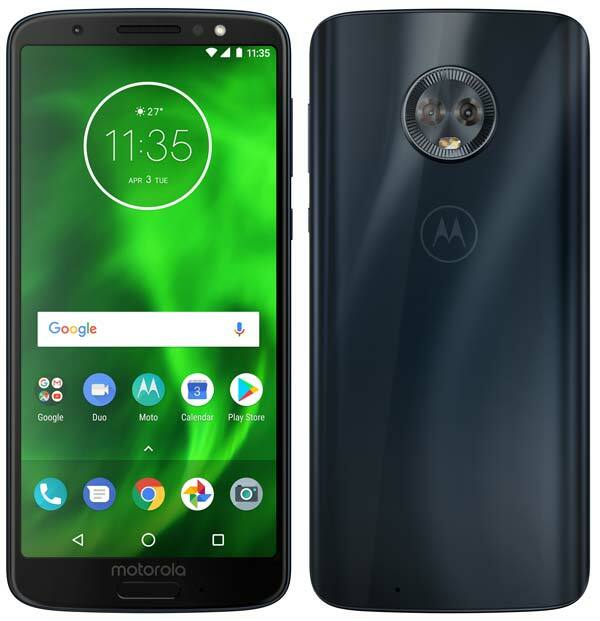 Moto G6 has a dual camera setup on the rear side with 12MP and 5MP sensors with Dual LED flash. The India variant of Moto G6 comes with an upgrade 12MP sensor with Selfie flash instead of the 8MP sensor on the Global variant. It also comes pre-loaded with an advanced imaging software to take studio quality portraits, artistic black, and white shots etc. Apart from the front mounted fingerprint scanner, it also supports Face Unlock. Other key specifications are 5GHz WiFi, FM Radio, VoLTE, and a USB Type-C port. Camera modes – Portrait, Spot color, Face filters, Panorama, Manual, Group selfie, Beautification etc. The Moto G6 will be available in Indigo Black color and exclusively available online via Amazon.in and also through Moto Hub stores across India starting 5th June 2018. The 3GB/32GB priced at ₹13,999 and the 4GB/64GB at ₹15,999. Lunch offers included are up to ₹1,250 instant cashback on HDFC debit & credit cards, Extra ₹1,000 off on exchange of any Moto phone, Up to 80% off on first Kindle eBooks and a free 1-year Amazon Prime with Airtel Postpaid plans of ₹499 or above.